Sometimes it’s good to be creative, to give something new a go. 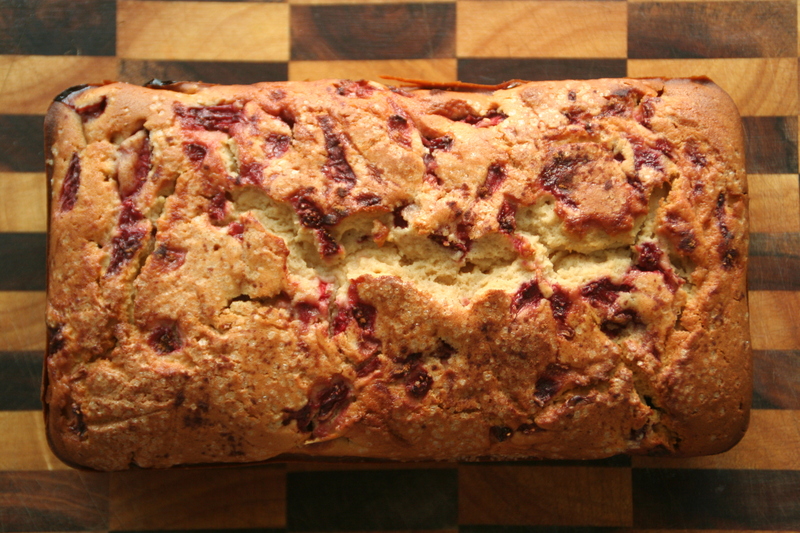 This strawberry bread was a bit of an experiment that stemmed from having three punnets of ripe strawberries and a tub of Greek yogurt in the fridge. I had no idea how it would turn out but it was worth a try, and I’m so glad I did. An incredibly moist and quite heavy loaf, this bread has a similar texture to banana bread but is somewhat more airy. 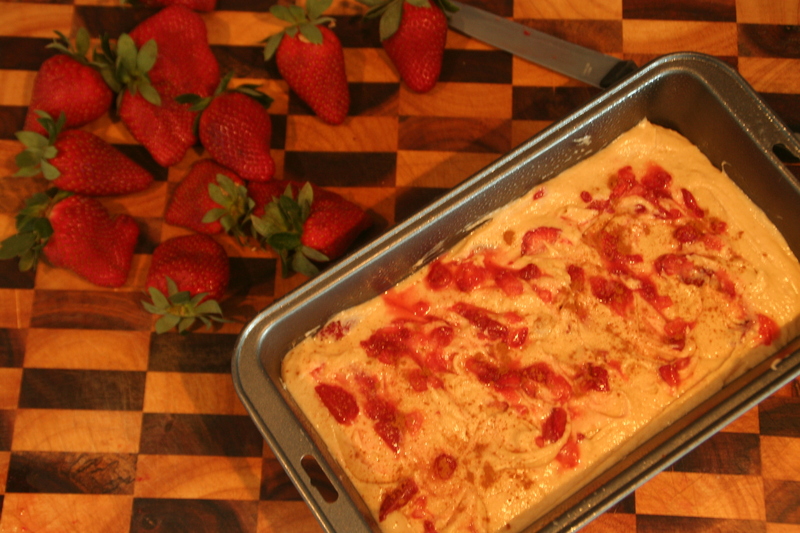 The juicy pockets of strawberries are delicious and the aroma of the cinnamon and brown sugar baking is enough to have you checking the oven every 10 minutes to see if it is done! The batter is a gorgeous caramel colour and tastes so good I was disappointed I didn’t leave more in the bowl to eat. I would recommend eating this on the day you bake it (best still slightly warm from the oven) but it will keep for a couple of days. 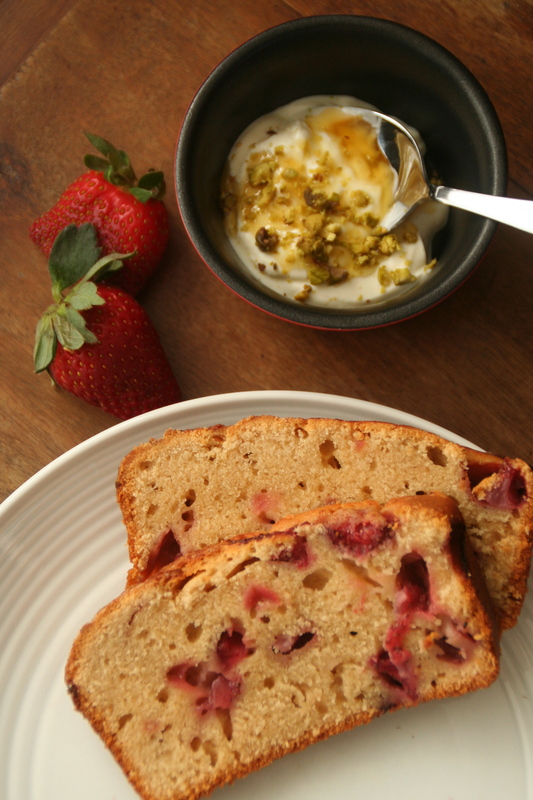 I served it with some extra Greek yogurt through which I stirred some golden syrup and pistachios. 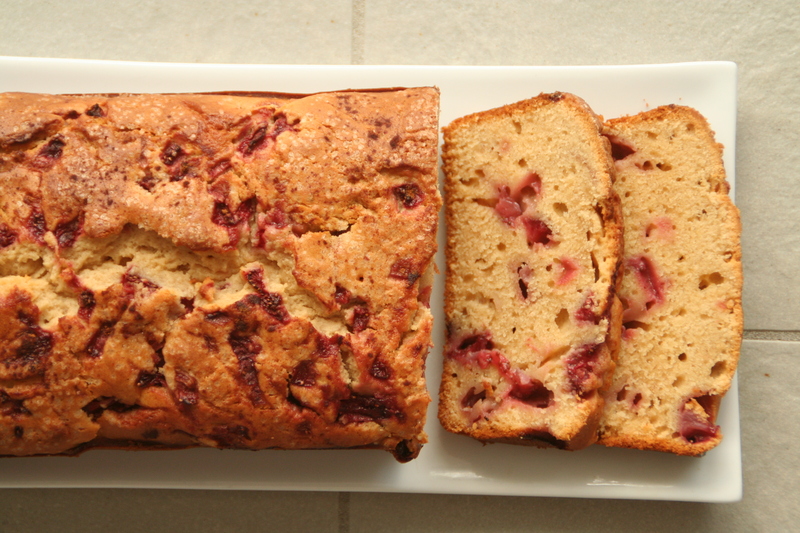 Super easy to make and perfect to share for afternoon tea. Preheat oven to 180° and prepare a loaf tin. Beat the butter in a large bowl until light and creamy then beat in the sugars. Beat in the eggs one at a time then add the yogurt and vanilla. Sift in the flour, baking powder, baking soda, salt and cinnamon. Mix through until combined. Stir through the strawberries. Pour into prepared tin and top with a sprinkling of raw sugar and some extra cinnamon. 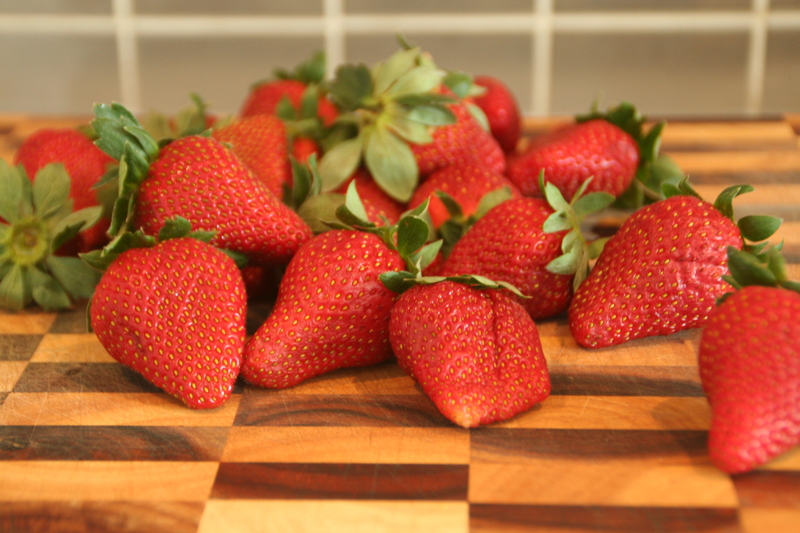 If you like you can mix a chopped strawberry in a small bowl with a teaspoon of sugar and spread over the top also. Bake for 55-60 minutes or until golden on top and if a skewer inserted in the middle comes out clean. If the bread is browning too quickly cover with foil for the last 10 minutes. Fantastic served with Greek yogurt and honey or golden syrup. 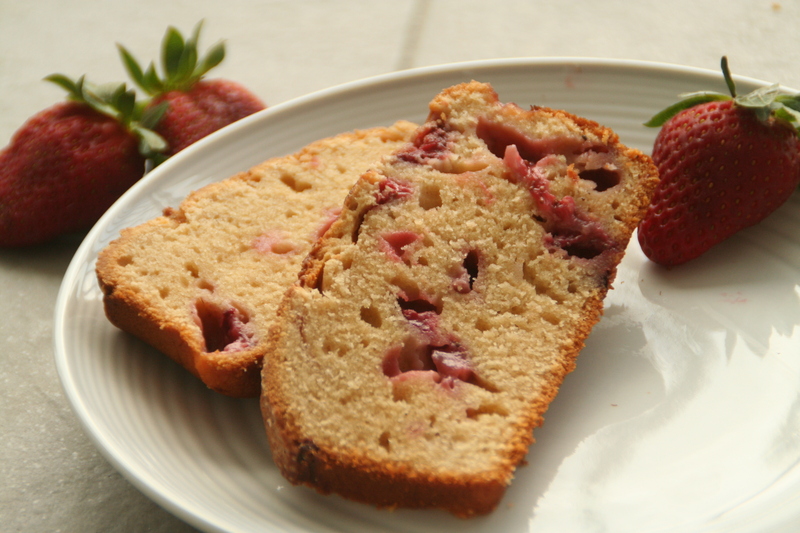 Mmm, I love strawberries but haven’t used them in a bread before. Thanks for sharing! 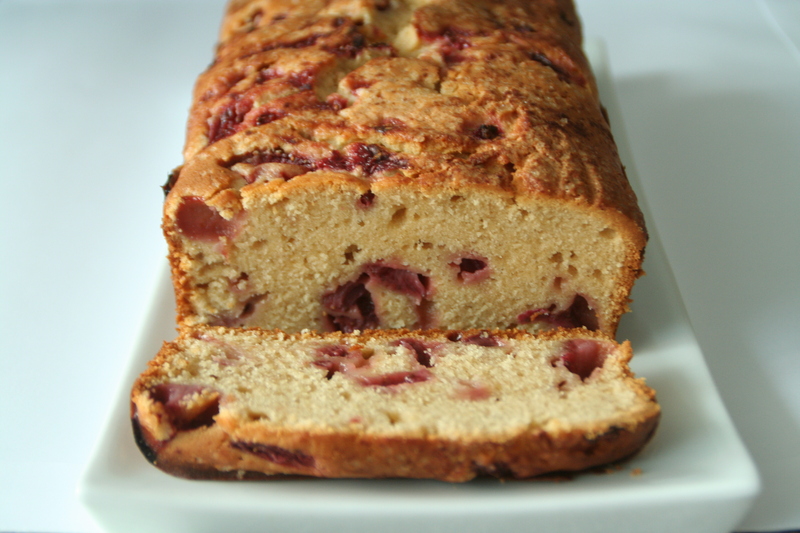 Oh, this is bringing back great memories of strawberry bread eating at my hometown’s annual strawberry festival. Good post! I’m definitely mourning the end of strawberry season over here, but I’m making one last stand in my kitchen after having bought a flat at the farmer’s market this week. Strawberry smoothies made with Greek yogurt are also amazing if you’re a drinks kind of gal. Thanks for sharing this fun recipe! Triple yummy!!! So many strawberries look really delicious! Fabulous idea using strawberries! Can’t wait to try it. Wow, simply delicious! I’ll cook it soon! I tried it tonight and it was really original, sweet and simply good! Thanks for the recipe! love it! such a wonderful recipe! !